Marc Roussel, Christine Roussel, About Us, Company History - C. ROUSSEL INC.
Roussel Studios (CRI) was founded in 1977 by Christine Roussel an internationally acclaimed author, art historian and art conservator. After achieving two master degrees Christine spent a decade working at the Metropolitan Museum of Art as Manager of the Reproduction Studio and Special Assistant to Thomas Hoving. She travelled the world developing blockbuster exhibition including: Tutankhamen, Scythian Treasures and Treasures of Ireland. Christine was an art advisor to Vice-President Nelson Rockefeller, served on two international museum boards, consulted to four American presidents, and one reigning monarch. She lectures widely and has been featured in numerous magazines, newspapers and television shows including The Today Show. Over the years Christine has received awards from The National Association of Professional Women and the Association for a Better New York for conservation work that improves the City of New York and contributes to the well being of the community. 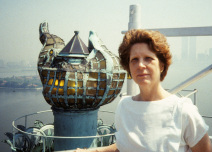 Christine is archivist at Rockefeller Center Archives and author of the definitive book; The Art of Rockefeller Center and The Guide to the Art of Rockefeller Center. 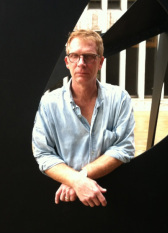 Roussel Studios became a family enterprise when Marc Roussel (Christine's son) joined the firm as partner in 1990. Marc's background is in art history, metal work, sculpture engineering and technology; he apprenticed at an art foundry where he worked for over ten years and became lead founder. Before joining CRI Marc was president of an independent art conservation company that was involved in major conservation projects either jointly with Roussel Studios or as a separate entity. Marc is currently President of Roussel Studios supervising all aspects of the business. The company offers a full range of services to a number of major estates, a reigning monarch and three central New York art institutions with extensive collections including iconic monuments of national and international importance. Conservation and maintenance projects include some of the world's most celebrated sculptures including; Henry Moore's Reclining Figure at Lincoln Center, D.C. French's Forward atop Wisconsin's State Capital dome, AT&T's iconic sculpture Spirit of Communication, Rockefeller Center's Atlas and Prometheus, as well as working on the restoration of the Statue of Liberty.